Major home care provider future " At risk." The CQC said it was concerned about its prospects from the end of this month, but the firm said the move was "premature and unwarranted". The BBC understands there has already been an offer made from a new lender that could secure the firm's immediate future. This is the first time a notice like this has been issued to a whole provider - previous warnings have just related to individual services. Andrea Sutcliffe, from the CQC, said: "I understand this is a very unsettling time for everyone who uses Allied Healthcare's services, their families and loved ones, and staff. "We will continue to work closely with Allied Healthcare and all of our partners to make sure appropriate action is being taken in the interests of people's continuity of care if this proves necessary. "It is of course possible that the company is able to avoid service disruption, and if that is the case, we will revise our position accordingly." But a spokesman for Allied Healthcare said the company was "surprised and deeply disappointed" by the move. He said it was "premature and unwarranted" as there was no risk to services because financing had been secured. "The CQC has disregarded these assurances in spite of the robust evidence we have provided," he added. The news comes just weeks after the UK Homecare Association, the umbrella group for providers, warned services were being put at risk because councils were trying to get care "on the cheap". The meltdown continues ... all stemming from present day Government policy. Elderly " At risk " as home care regulator warns over Allied Healthcare. Up to 9,300 people in danger of losing services, warns Care Quality Commission. Allied, the largest provider of domiciliary care in the UK, is owned by German private equity investor Aurelius. About 13,000 people receive care from Allied across the UK, including Wales and Scotland. Allied is also a major provider to the National Health Service. Andrea Sutcliffe, the CQC’s chief inspector of adult social care, said the regulator has “not received adequate assurance that the company has, or will have, the ongoing funding or new investment necessary to ensure the business can operate beyond [30 November]. However, in a statement Allied insisted its care provision is “sustainable and safe”. It is understood that the lender behind the working capital facility due to be repaid on 30 November intends to extend the loan until the new year, while the company is also in discussions with alternative lenders. The Allied statement said the firm is “surprised and deeply disappointed” by CQC’s move, describing it as “premature and unwarranted”. The CQC “disregarded” its assurances, Allied said. The CQC is obliged to notify local authorities if it thinks a firm carrying out regulated care services is likely to collapse, to allow councils time to prepare contingency plans. He added that the problems are “yet another wakeup call to the huge problems in social care” for the government ahead of an expected green paper outlining reforms to the sector. Allied has endured a difficult period in recent years, alongside other struggling care providers. In May it agreed a company voluntary arrangement (CVA) with unsecured creditors, including landlords, suppliers and a closed pension scheme, allowing it to delay payment on some of its debts. Private company operating in the public sector. Like others , if this lot go under , we , the taxpayers , will probably pick up the pieces. Allied Healthcare to transfer care contracts. The company says it is working closely with councils to ensure there is no disruption to people's care. Last week, the Care Quality Commission, which regulates such services in England, issued a notice - warning that it had serious doubts about the future of the company. From the info I find online, Allied are safe for a few more weeks. Though I summise, with councils pulling contracts, this could shorten this period. Am worried, as Allied intro care workers to S at college, shadow new care workers with ones who know and keep his support team very small. Also, timing is imperative as the care workers are here to support S ( who can't be left alone,) between me leaving for work and his bus arriving. Perhaps a game of dominos now , Melly ? Outsourcing contracts ... fine , until the next " Allied Healthcare " either goes under or announces that they cannot fulfill their contractual obligations. At least with an LA , The Government would step in ... as with Northamptonshire CC ? As the meltdown in what's left of social care continues , very few private enterprises will be left. Their motive is profit ... not care ... that is a poor second. Companies running '" Inadequate " UK care homes make £113m profit. Critics call on firms to use wider income to address " Terrible indignity and neglect." Some of the country’s worst care homes are owned by companies that have made a total profit of £113m despite some of the vulnerable people they are supposed to look after being neglected, it can be revealed. An investigation by the Guardian has found that companies owning homes that care for elderly people with dementia, disabled people and those with learning difficulties – and have been rated “inadequate”, the lowest possible rating by the Care Quality Commission – are turning over a healthy profit. The company accounts do not state whether specific failing care homes make a profit, but critics called on the firms to use their wider income to rectify the issues raised by the CQC reports before taking profits that often amounted to millions. An analysis by the Guardian of 220 homes rated inadequate by recent inspection reports in England showed that at least 44 – many of which will receive government funding to care for residents – were owned by companies making millions in pre-tax profits. The firms’ total pre-tax profits for the year amount to £113m, according to their most recently available accounts filed with Companies House. The figure is likely to be even higher but dozens of the homes are owned by small companies which are not required to publish their profits publicly. Elderly residents soiling themselves after being left because there were too few staff. Staff using “inappropriate and disproportionate use of physical restraint” on residents with autism. Patients being left waiting for long periods for under-pressure care workers to attend after ringing their call bells. Carers failing to treat elderly residents with dignity and respect, with patients’ underwear being left exposed and faeces left smeared on a bedrail cushion. Residents being placed at risk of abuse by other patients, with one being seriously harmed after an attack, and staff failing to safely manage medicines. Barbara Keeley, the shadow minister for social care, said: “This investigation has exposed the appalling standards of care being provided by some of the largest providers of outsourced residential care which has left large numbers of vulnerable people in need of care suffering terrible indignity and neglect. Eileen Chubb, the founder of Compassion in Care, a charity which campaigns on behalf of whistleblowers and for better levels of care, said: “We have seen first hand the appalling consequences of poor care. Mulberry Manor, a care home for elderly patients in Rotherham, South Yorkshire, is owned by Minster Care Management, which made a pre-tax profit of £41.6m in 2017. The company paid out dividends worth £44.2min the same year. On its website, the company says it provides “an excellent standard of care 24 hours a day”. However, inspectors placed Mulberry Manor in special measures after finding that people were put at risk because medicines were not safely managed, patients were at risk from dehydration and malnutrition, and staff failed to uphold residents’ dignity and treat them with respect. Inspectors noted: “One person was observed to be in their bedroom, lying in the bed without covers and with their clothing pulled up so that their underwear was exposed. A spokesman for Minster Care Group said Mulberry Manor made a loss and a new management team had been installed to “address the shortcomings”. “We have not profited from any inadequate rating – whenever a home is deemed inadequate it is extremely challenging to make profit as local authorities and private customers are less likely to use it, and it requires considerably more management resources to bring it back up to standard,” the spokesman said. He said Minister Care Management underwent a restructuring in May last year to repay bank debt, and property assets were sold. Chelmunds Court, in Birmingham, and Elizabeth House, in Essex, are owned by Runwood Homes, which made a pre-tax profit of £16.9m in 2017. Directors were paid £4.4m, with the highest-paid receiving £2.22m. Dividends of £5.1m were paid. 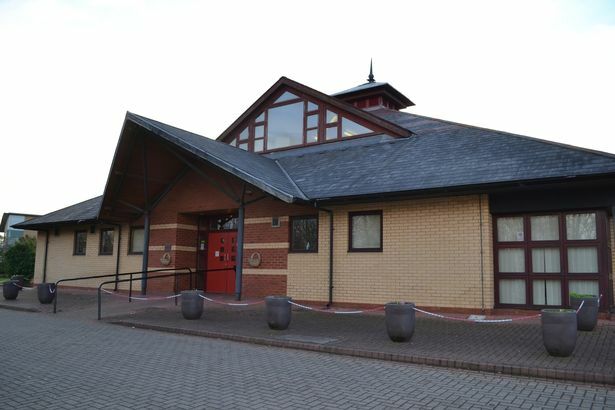 At Chelmunds Court, inspectors found that patients were not protected from abuse by fellow residents, saying they were told that one resident had been seriously harmed by another. “During our visit we found the provider had failed to mitigate the risk,” a report noted. Elizabeth House, which cares for elderly patients including those with dementia, did not have enough staff on duty to keep people safe, inspectors said, adding that elderly patients were not treated with dignity and respect. Gavin O’Hare-Connolly, the chief operating officer of Runwood Homes, said: “We recognise the difficult period noted by two of our services and took immediate and robust action to address any shortfall. Meadbank care home, in Battersea, south London, is owned by Bupa Care Homes (ANS), which made £8.8m in pre-tax profits in 2017. Ashley Lodge care home, in Hampshire, is owned by Bupa Care Homes (CFChomes) which made a pre-tax profit of £7.5m in 2017. The CQC found rooms at the home were “dirty and unkempt” and that the home was not safe because there were not enough staff. According to the report, residents did not always receive their prescribed medicines and the staff administering them were interrupted and distracted, increasing the risk of errors. Rebecca Pearson, operations director for Bupa care services, said 80% of the firm’s 135 care homes were rated as good or outstanding. “Two homes are rated inadequate and we immediately appointed dedicated quality teams to lead improvements in the homes. Ashley Lodge was previously rated good, however the departure of the home manager and other staff had a knock-on effect across the home. Kingsmead Lodge, in Horsham, which cares for people with learning disabilities, is owned by SHC (Clemsfold) Group, which made a pre-tax profit of £4.5m in 2016. The Laurels, also in Horsham, which cares for young adults with learning and physical disabilities, as well as autism, is owned by SHC (Rapkyns) Group, which made a profit of £3.6m in 2016. Inspectors found serious failings at both homes. Yet another article exposing some profiteers in this sector. My thoughts are with the residents ... what say do they have ??? Who is protecting their interests ??? Hundreds of care home patients have died dehydrated or malnourished. Office for National Statistics says that " Poor care may have been a factor " in some deaths. More than 1,000 care home patients have died suffering from malnutrition, dehydration or bedsores, new figures reveal. At least one of the conditions was noted on the death certificates of as many as 1,463 vulnerable residents in NHS, local authority and privately-run care homes in England and Wales over the past five years.. The figures have been obtained by the Guardian from the Office for National Statistics (ONS), which completed an analysis of death certificates at the newspaper’s request. It follows a separate Guardian investigation that revealed some of the country’s worst care homes were owned by companies that made a total profit of £113m despite poor levels of care. The ONS statistics showed where any of the three conditions were mentioned on patient death certificates as either the underlying cause or contributory factor. From 2013 to 2017, dehydration was noted in 398 cases; malnutrition recorded 226 times; and bedsores mentioned 839 times. The conditions affected women far more than men, with females accounting for 1,005 of the deaths and males, 458. The ONS added that it was not possible to determine how the conditions had come about, explaining that there were many reasons why people became malnourished, including patients who had cancer of the digestive tract meaning they could not eat properly or absorb nutrients. Age UK charity director Caroline Abrahams said: “Many care home residents are coping with chronic health problems, including advanced dementia, and many are nearing the end of their lives. Horrible, potentially dangerous conditions such as pressure ulcers and problems with eating and drinking are all completely to be expected and it is imperative that there are enough staff, with the right training, to provide these very vulnerable older people with the high standards of health treatment and social care they need. According to the Care Quality Commission, the industry watchdog, in 2018 1% of adult social care providers were “inadequate”; 17% “required improvement”; 79% were “good”; and 3% were “outstanding”. Eileen Chubb, founder of Compassion in Care, a charity that campaigns on behalf of whistleblowers in the industry, said she regularly received calls from concerned family members whose loved ones were suffering from the conditions. She said: “I would say these figures represent the tip of the iceberg. I don’t think most deaths of elderly people are examined properly enough, because people just expect old people to die. “For people to die suffering with these conditions in this day and age, in a so-called civilised society, is scandalous. “Often food is put in front of elderly care-home patients, but there simply aren’t enough staff to feed it to them,” Chubb added. Care agency rated inadequate and placed in special measures after missed appointments and unsafe care. The Lowestoft branch of the Hales Group has been heavily criticised by inspectors following an announced inspection of services. The care agency provides personal care to people living in their own homes across Waveney, including people living with physical and sensory impairments. In March, the agency was told it required improvement following inspections in December 2017 and January 2018, which found the service inadequate at keeping patients safe. At the time of the latest inspection, on September 5 and 6, the service was supporting 69 people, a drop from the 230 reported at the previous inspection after a change to work solely in Waveney. The report states: “Despite the reduction in the number of people they supported, we found that people were still receiving late visits. Some people had cancelled their care as they couldn’t wait any longer for the carer to arrive. “There have also been missed visits and this meant that people did not always receive the care they needed to keep them safe. “Some people required two staff to attend to their needs but, in some cases, we found only one carer had attended. This placed people and staff at risk of harm and did not meet the person’s assessed care needs. “Some people using the service, and their relatives, indicated they did not have confidence in the service delivering the care as planned. The report also raised concerns over the effectiveness of quality checks, with the recording of medicines missed, but did praise the supervision and training provided to staff. Nicola Mewse, managing director of Hales Care, said: “Our legal team submitted to the Care Quality Commission a 42 page document evidencing the numerous areas where the report is unjust and simply wrong. “Notwithstanding this, the inspection took place nearly four months ago and referred to alleged incidents nine months earlier than that. “The safety and wellbeing of our service users is the primary objective of Hales Homecare. “The care that we deliver each week helps to keep vulnerable individuals in their own homes where they feel safe, surrounded by the things they hold dear. Services are rated in five categories, with the Lowestoft branch rated inadequate for providing safe care and being well-led. It was also rated as requiring improvement for being effective, caring and responsive. Overall, the service has now been rated inadequate and placed in special measures to be kept under review and re-inspected within six months. If insufficient progress has been made in that time, the group could be prevented from operating. A spokesman for the CQC said: “As a result of the inspection, the home is currently rated as Inadequate overall. “Prior to the publication of any report we share a draft with providers so that they have an opportunity to give feedback regarding factual accuracy. “We can confirm the provider requested a meeting and CQC said it will meet with them following publication of the final report. Resident describes " Uncomfortable, sometimes painful " wait for attention at failing care home. An " Unsafe " Norfolk care home has been warned it faces urgent enforcement action after problems were uncovered in its latest inspection report. Government inspectors said staff shortages, inconsistencies with record keeping, issues to do with cleanliness, the way medicines were administered, and a lack of things to do for residents contributed to an overall ‘inadequate’ rating for Clarence Lodge in Gorleston. The Care Quality Commission’s (CQC) critical report puts the care home, home to 16 people at the time of the inspection, in the worst possible category following its unannounced visit. Inspectors said some things were better but others were worse or the same since their last visit in February. One resident told the three-strong team they had to wait up to 30 minutes for attention once they pressed the bell, sometimes because staff were eating. Another was quoted in the report: “I think there probably are (enough staff) but I don’t think they use their time wisely or efficiently. Although inspectors found some positive changes had been made to do with dementia-friendly decor they remained unhappy with the mealtime experience and highlighted some cleanliness and housekeeping issues. At the previous inspection concerns had been raised about the standard of food being poor, with relatives bringing in additional supplies. “We found at this inspection that the same concerns had been raised and the quality of the food had not improved,” inspectors said. The report said not all staff were caring. The care home was contacted for a response. Jobs will go and families lose vital lifeline as nursing home and day centre to close. Almost 50 jobs have been lost following the decision to axe the services which provide essential care. Dozens of jobs will go and families will lose a lifeline after plans to close a nursing home in Thornaby and a day centre in Guisborough were confirmed. Last month, Cleveland Alzheimer’s Residential Centre (Clevearc) said its home at Kirkdale, Teesdale, and its Guisborough day centre were under threat. Now, after a period of consultation with staff teams, both closures have been confirmed, with the loss of about 47 jobs - 43 of which are at Kirkdale. Clevearc, which has provided specialist nursing care and support for more than 30 years, says the closures are due to “continued financial challenges”. 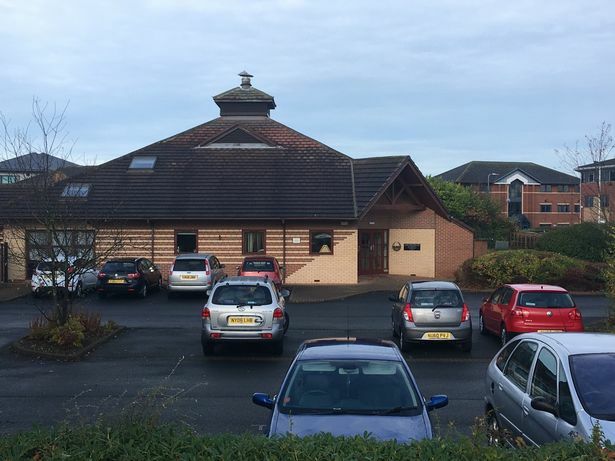 Kirkdale, will close from January 31, affecting about eight families, while its day centre in Guisborough will close at Christmas, with 16 families affected. Clevearc’s chairman of the board of trustees, Alan Kitching, said: “We met with staff in November to discuss the very serious challenges that face Kirkdale and Clevearc as a charity and to inform them the services at Kirkdale and Guisborough were at risk of closure. “As a small local charity, we are providing care services at a time of very challenging national and local economic circumstances which are only set to become more challenging. Meanwhile, the costs of providing services which meet the very complex needs of our client group continue to increase. “We have had to consider the closure of some parts of, and possibly the whole, charity. These are not considerations we have taken lightly and we have looked at many different options. He added: “The future of the charity remains uncertain and we will continue our most strenuous efforts to secure the viability of our remaining home, Allison House, as well as the many projects delivered by Clevearc as a charity. Residents and their families will be helped to find and move to alternative homes, or to source alternative day care. Mr Kitching said: “We know this will be a very worrying time for them and for that we sincerely apologise. “Our priority at Clevearc has always been to provide the very best care and support we can for those in our area living with dementia. Kirkdale was officially opened and named by Princess Diana on September 23, 1992.